Making worlds collide, Washington creates virtual environments that sprawl out into white walled reality creating a feedback loop of mutually informing interiors. eDazed Digital: How would you describe your work? 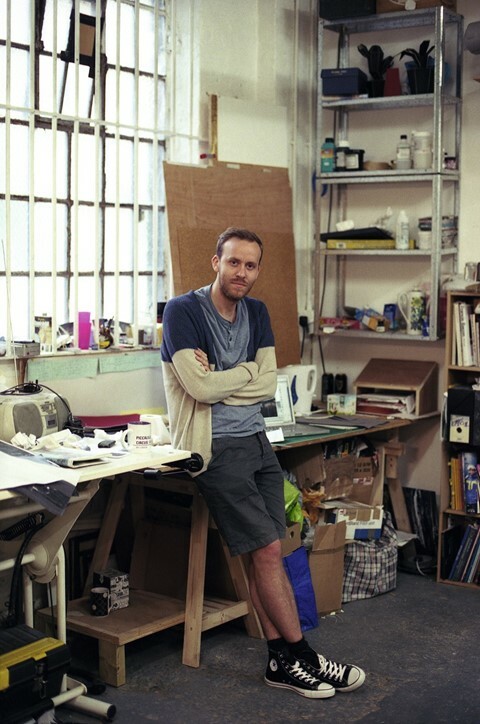 Ben Washington: My work is a combination of sculptural and collaged elements that are linked together through the way in which they are devised and realised using 3d graphics. Recently I've begun to create direct crossovers between the sculptures, collages and the 3d processes by using homemade arcade boxes that let the viewer enter and explore the 3d environments created whilst making the collages and sculptures. DD: What are your main inspirations? Ben Washington: The things that inspire my work can range from the stylings of old computer games to the layouts of medieval Cathedrals, but quite often they are elements of Landscapes or Architectures that in someway define the space around them in a striking or unusual way. DD: Do you have a specific process when you begin working on a project or piece? Ben Washington: There is quite a back-and-forth process involved in my work, with objects and images constantly flickering between different types of space; the real, virtual, imaginary, 2-dimensional and 3-dimensional. This cyclical nature can sometimes make it quite hard to pinpoint where the process begins or ends. DD: What will you make for the exhibition in October? Ben Washington: I'll be making work that allows the viewer to engage as much with the virtual spaces i create as it does their sculptural counterparts in the real world. DD: What would you do with the prize money? Ben Washington: Invest it back into my practice. You can visit the exhibition of the Converse/Dazed Emerging Artists Award shortlist on October 26th at Londonewcastle Gallery.